Looking for an Apartment Complex in Morrisville, PA? If you're looking for an apartment complex in Morrisville, PA, you'll notice there are plenty nearby. Not all are places to live, though. You know what we mean; you're looking for a place to be in five years, where the kids are happy and that relaxes you after a long day. Check out The Commons at Fallsington. The whole family is welcome here; even your dog. We offer warm, comfortable suburban living minutes from major roads. There are washer/dryers in all apartments, and our school district is one of Pennsylvania's best. 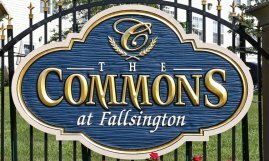 Want to know more about apartments for rent at The Commons at Fallsington? Ask us.